In our first Marketing Multipliers installment, we discussed how retargeting campaigns work together with campaign-specific landing pages to increase conversion rates. That tactic works by targeting your website visitors with ads and directing them to accompanying landing pages that are built to convert. Today’s multiplier works in much the same way, except it targets your partners’ audiences instead of your own by using a partner invites program. 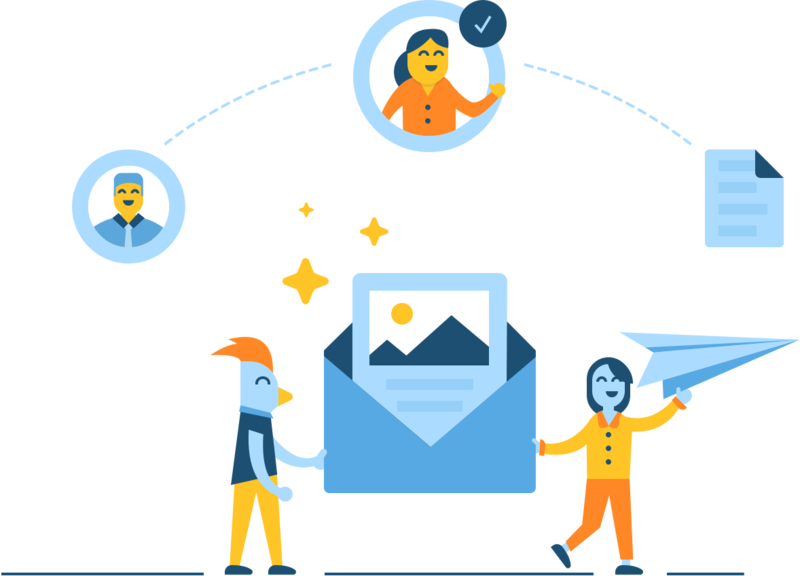 Combining retargeting campaigns with partner invites is a great method to not only gain qualified new prospects from your partners’ web audiences, but also to boost your relationships with partners and earn more attendees. Best of all, it’s simple because your partners do most of the heavy lifting for you. Retargeting and Invites are only two of the tools in the complete toolkit we recommend for events and associations to do their best marketing in 2019. We wrote an ebook to show you the other tools, as well as some useful tips and tricks to get the most out of them. First, what is a partner invites program? Simply put, it’s an organized and scalable system of word-of-mouth advertising, where your partners help promote your event to their audiences. You provide co-branded collateral like banner ads, email templates, landing pages, and social sharing images, and your partners share them to encourage engagement from their audiences. Click here to read how our customer SupplySide West paid for its invites program 9x over with the results from its very first time using Invites from Feathr. Every one of your partners has their own following. And because your partners choose to associate themselves with your event, it’s likely that their audience is well-matched for your services too. Once an organization or speaker has agreed to partner with your event, it’s always in their best interest to help make the event valuable for them and get a return on their investment. That means stacking the reg list with their own prospects. An invites program helps them achieve that goal by providing marketing collateral for them to distribute to their networks. As the organizer, your role in the invites program is to provide the collateral, and to provide the incentive for your partners to share it. An example partner invite landing page for a speaker at UBM Fashion's REMODE 2018. Read more here about how to incentivize your partners to participate in your invites program. Here’s where the multiplier comes in. Once someone in your partner’s audience interacts with the invite collateral you provide, they become a member of your digital audience too. This is possible because the invite collateral is hosted on web properties you own, so you can track the visitors. That means you can not only advertise to your new audience, but you can do it more accurately because you now know which marketing collateral they clicked. A typical segmented retargeting path, showing different ads to prospective sponsors and attendees. Imagine you’re a marketer for the American Association of Coffee Retailers. One of your goals is to increase attendance for 2019’s CoffeeCon. As part of your growth strategy, you reach out to all of your exhibitors and sponsors to offer them 2 additional tickets for their sales teams if they agree to participate in your invites program by sharing your collateral regularly with their network. One of your exhibitors, a firm that manufactures compostable drinkware, shares your collateral to their audience. That collateral racks up about 1000 unique clicks in the first week, which represent a new web audience for your event. Now you can serve your own advertisement to those people, many of whom are just hearing about CoffeeCon for the first time. Because those people originally belonged to the compostable coffee cup company’s audience, you can be confident that ecologically-friendly products are important to them. And because CoffeeCon is a responsible event, you have an event track you call GreenBeans, with content, speakers, and sessions dedicated to improving the ecological impact of the coffee industry. So you have green-themed event content and a surge of new people who are interested in topics related to eco-friendly coffee retail. Build an appealing opportunity for those people to register by running a retargeting campaign advertising the GreenBeans event track to that audience. Let your partners offer a 10% discount on tickets for any registrations earned through their collateral, then retarget visitors who clicked but didn’t register with the same (or an even deeper) discount. Segment participating partners into industry vertical, then retarget new audience members with creatives designed for those verticals. Run partner-specific retargeting campaigns advertising your event's connection to recognizable or VIP partners. Run a general brand awareness campaign to all new audience members who clicked on partner invite collateral. As with all digital marketing initiatives, you are only limited by your own creativity. Always be sure you’re providing value to your partners and your new audience, and you will see more names on your reg list and more smiles on your partners’ faces. If you want to get started with a partner invites program at your organization, check out products from Gleanin, nvytes, or of course Invites from Feathr, part of Feathr's comprehensive toolkit for event and association marketing!